Posted Friday, December 23rd, 2011 by Robyn Warner. Life moves fast and having portable equipment has become an absolute necessity. Do you recall the days of being confined by a cord plugged into the wall when using the phone? Remember sitting down at a desk with a computer monitor and tower to complete your assignments? The digital revolution has increased the pace of life, personal and work, so manufacturers are making equipment that can go on the move with us, and even scanners are going portable. 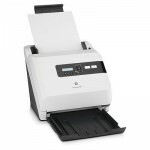 There are many types of scanners on the market, but many are designed exclusively for office use. Portable scanners come in various shapes and sizes, but are designed to allow you to scan a document when you are out and about. In comparison to scanners attached to all-in-one machines, such as the Brother MFC-9840, these devices are miniature. There are two primary styles of portable scanner: a machine scanner with a paper path and an internal scanning mechanism, and a wand or pen, which is simply waved over the document. Posted Friday, December 16th, 2011 by Robyn Warner. Having backup toner cartridges is essential for offices that print high volumes on a regular basis. For users that do not print as much, ordering new cartridges when toner starts to run low may be sufficient. Since toner cartridges have a shelf life of around 2 years, it is important to manage your orders so that they don’t expire before you are able to use them. 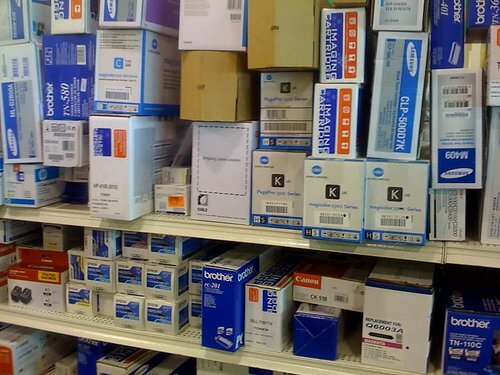 Buying in bulk can save money, but small offices could end up throwing away unused cartridges if they order too many. When photographers and designers speak of bit depth (also referred to as color depth) of an image it is usually in reference to a scanner or a digital camera. The bit depth can be described in the most basic terms as the number of colors that can be captured into a digital image. Let us look at some of the core concepts involved. 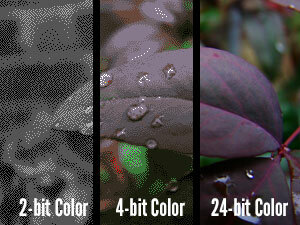 Bit depth is a basic system that defines the extent of color tones that can be reached by a printer. This is measured in bits. A single bit can best described as sort of an ON/OFF switch. As the amount of bits increase, the clarity of prints increase as well. A standard computer screen offers a total of 24 bits while early computing systems only featured 16 or fewer bits. Posted Friday, December 9th, 2011 by Robyn Warner. Lexmark printers display error codes to alert users of a problem. While some of these codes are quite serious, and may require a professional repair, others are very simple and can be resolved quickly by the user. Here are some of the most harmless error codes you are likely to encounter, with some quick fixes to get you up and running in a flash. Depending on the model, this error code can mean that the unit is out of paper, or that it has a paper jam. Try unloading the input paper tray and carefully reloading the paper to make sure it is being detected properly. If you suspect you have a paper jam, see the video below for specific instructions related to Lexmark models, or visit our page on How to Clear Paper Jams. Either way, make sure to check for any debris that may be blocking the sensors, as this can also trigger an error message. The reason people frequently ask about changing Brother toner cartridges is because this brand of printer is unique in the way it is set up inside. Standard laser printers have a panel to open that leads directly to the cartridge, which can simply be pulled out of the printer and a new cartridge can easily be installed. What makes Brother printers different is that the drum unit and the cartridge are together in one assembly rather than two separate units like in most laser printers. For consumers who have owned HP or Lexmark printers in the past, it can be confusing at first glance of a Brother cartridge that snaps into the drum assembly rather than a slot in the machine. Once it is explained that the drum and cartridge fit together in the assembly, the replacement process is pretty easy. Use these simple steps to replace your Brother toner cartridge. Be sure the machine is completely off. 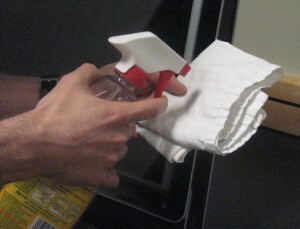 The assembly has a handle that should be visible as soon as the front panel is opened, pull on it and the assembly should pull right out. Be sure to lay down something to protect the floor from potential toner leaking. Be careful to not touch the drum as it is sensitive. There will be a small lever that needs to be pushed to separate the cartridge from the drum. Put the new cartridge in the open slot, but be sure all shipping seals and packaging have been removed. The cartridge will snap into the assembly and the assembly will snap into the unit (be sure you listen for the ‘click’). Close the panel and turn the machine on, it should automatically read the new cartridge and resume printing immediately. If there is still some confusion as to the proper way to replace a Brother toner cartridge, watch the video below for a better understanding. Posted Friday, December 2nd, 2011 by Robyn Warner. Have you noticed lately that your scanned files are suffering in quality? Are there black or faded lines running down the length of the document, making it difficult to read and even more difficult to pass off as professional? Chances are, if you give the scanning surface a cleaning, the quality issue may disappear. 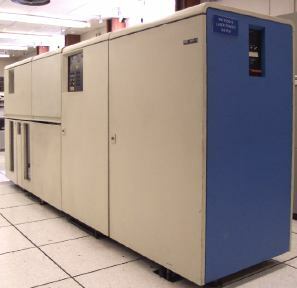 The IBM 3800 laser printer was a behemoth by today’s standards.